A while ago Ellie and I said we were blessed to discover the most amazing places one can stay at, and as often happens in life: whatever you think becomes your reality. Just when we were about to stop traveling for a while and catch up on some writing, an email arrived. It was from a couple living in Sliven. They have what they call “The Little House” and wondered if it was suitable for travelers, so they wanted to ask if we’d be interested in checking it out and giving them our opinion. And so we did. We got our last days of paid annual leave for the year, jumped in one of the lovely Val & Kar Renaults, and took off on the 15th of September (the best day to leave Sofia – it’s the start of the school year and traffic is insane). Our road trip took us through some lovely destinations including the Russian Church in Shipka, the one-of-a-kind Shipka monument, and the scary, yet enchanting Buzludza monument. When we finally made it to Sliven late in the evening and dead tired, but the family we met quickly brought back the smiles on our faces. I cannot tell you about The Little House without telling you more about Chris, Tzveti, Fiona, and Elena. Chris is an American man who met lovely Tzveti while she was in the States. Their story is full of romance and turn of events, but I won’t spoil it for you – they can certainly tell it better than I possibly could. I’ll just highlight the current ending (as their story continues): they returned to Bulgaria to give their lovely kids, Fiona and Elena, the chance to grow free – something (unfortunately) impossible in Chris’s motherland. Currently Chris still works for a company in the States, and God bless the internet – he can do it remotely. The rest of the time they spend taking care of their house and growing bio vegetables and fruits which taste like heaven. Access to their produce is only one of the benefits when staying in the Little House. Another benefit, which you’d be crazy not taking advantage of, is having a dinner with the family (if they’re available of course). Fiona (13) and Elena (9) are the kind of kids which make you want to have your own: intelligent, beautiful, and well-behaved, the girls are a treat both to the eyes and the ears. But you know what’s the best part about having dinner with them? You get to chat to 4 incredible individuals who have managed to build their family on the grounds of love, support and commitment. I don’t know if this can be called the American dream, but I gotta tell you: it certainly is the dream! I cannot even find the words to describe the love Ellie and I feel for them, and I most certainly won’t be able to describe how incredible they are. 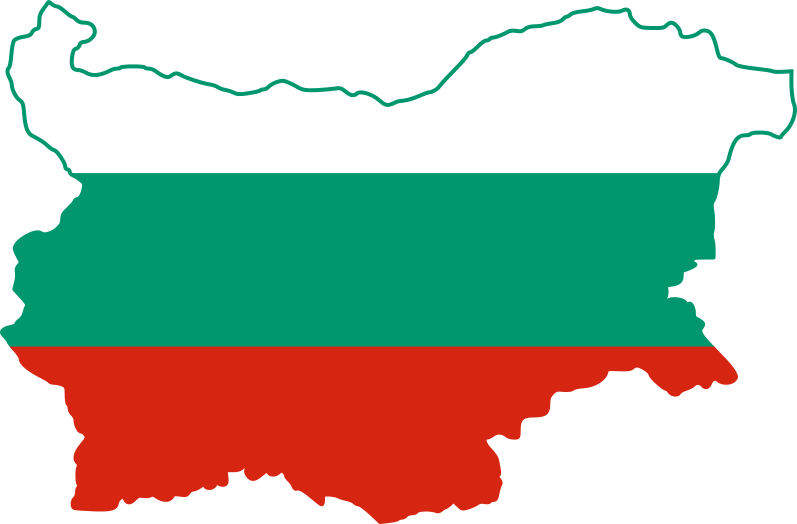 Nonetheless, if a family could be an attraction that people pay to see, they would certainly be the most visited one in Bulgaria. To be perfectly honest, we’ve always considered accommodations worthy when it offers places to visit during the day, along with peace and clean air in the evening. Well, in this regard The Little House gets 5 stars. The house is located in the Vilna Zona in Sliven. It’s a detached house in the yard of Chris and Tzveti’s with it’s very own parking behind gates, so there’s no reason to worry about your car whatsoever. If you’re not driving, there’s still nothing to worry about – just arrange it with your hosts and they’ll pick you up from the train or bus station. The Little House consists of a corridor with a wardrobe, huge bathroom, fully equipped kitchen, dining table, a living room/bedroom, and a second bed on a wooden platform above the main room. When I say fully equipped kitchen – I mean it. You’ll find literally anything you may think of to prepare a meal. What is The Little House Suitable for? Want to hide from the world? Want to catch up on some reading (or writing) undisturbed? Want to go to a place with an incredible view and just relax? Want to see the family dynamics between an American and a Bulgarian? Want to explore Zhrebchevo dam, the Blue Stones, Karandila, the Ring, Kotel, Medven, the Tuida fortress? Well, this is your answer – The Little House is a perfect starting point for all of that. As a bonus, you can use Cris and Tzveti’s heavenly veggies while there to prepare some delicious meals and if you’re visiting on a Saturday or Sunday – try REAL wooden over baked bread without preservatives on Karandila. Why choose The Little House over a hotel? Because you’ll get to know amazing people. Because you’ll be helping a family achieve their dream (they’ve always wanted to have a guest house and host travelers). Because you’ll have the opportunity to eat well. Because you’ll breathe clean air and you’ll sleep like a baby (it’s really hard to get out of bed there). But most of all: because you’re the type of person who knows that a place is made by its people and you have the curious nature of an explorer who can appreciate the hospitality and warmth of this incredible family. We cannot thank you enough for having us as your guests and for valuing our opinion. Staying with you was an experience we never even dreamt of. We will be praying of meeting more people like yourselves: down to earth and full of love for this amazing world. Your family values are an inspiration and we were honored to be around you. We wish you a lifetime of happiness and love and hope to see you again soon! next post: Dupnitsa, baby, you smashed that stereotype! We’ll be coming again!